A new species of nectar-feeding bat froM brazil was discovered unexpectedly amid a research into the whole genus of lonchophylla. the study is available in the open-access journal zookeys. during their study drs. 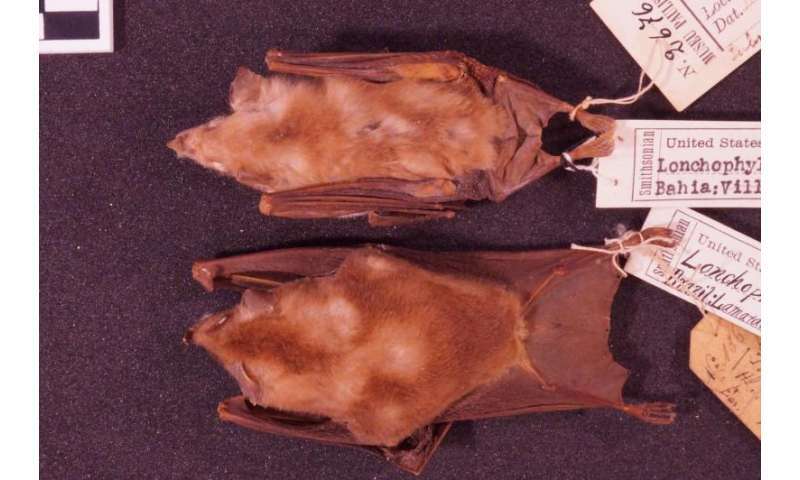 ricardo moratelli and daniela dias found that some of the specimens had their ventral (abdominal) fur considerably paler and some of their measurements were inconsistent with those of the type material of L. mordax, which species they had previously been confused with. To their surprise, a closer look revealed that this was indeed a completely different species, previously unknown to science. The new species was named L. inexpectata - inspired by the surprise element in this new discovery. Using specimens from all currently recognised Brazilian representative of the Lonchophylla genus, the scientists concluded that what they had thought a mere variation of the colouring, is in fact one of the species' distinguishable characteristics. Others include differences in the skull and the teeth morphology. 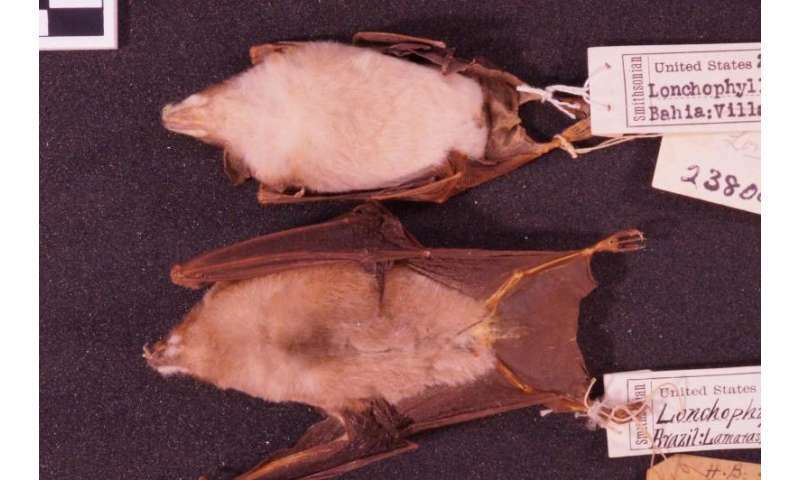 Specimens from the 'unexpected' bat species had been misidentified for more than a century, the scientists point out. Vouchers used in the research are currently being preserved in a number of the world's most reputable collections, including those in the American Museum of Natural History, London's Natural History Museum, Smithsonian's National Museum of Natural History and Brazil's Museu Nacional.